Virtualisation and cloud service provider VMware has appointed software veteran Sanjay Poonen as executive vice-president and general manager of its end user computing business unit. In his new role, Poonen will be responsible for the division’s strategy, products, engineering and delivery. The virtualisation provider is aiming to bank on Poonen’s wealth of software industry experience to drive its growth in the end user computing business. “As VMware continues its strategic focus on the software-defined datacentre, hybrid cloud and end user computing, we continue to strengthen our executive bench,” said VMware chief executive Pat Gelsinger. Poonen’s expertise will be “invaluable” at a time when VMware steers to develop and sell products aimed at enabling a secure and mobile workforce in the cloud and consumerisation era, he said. The company’s end user computing products include Horizon suite, a collection of tools designed to help IT deliver desktops and applications and secure data on a variety of user devices. Prior to taking this role at VMware, Poonen was president and corporate officer of platform solutions and the mobile division at SAP AG. During his seven-year tenure at SAP, he held several executive-level roles in development and sales. Poonen started SAP's analytics business in 2006 and, under his leadership, all of SAP's platform solutions – analytics, database, big data and mobility – became a significant part of the company's revenue. He has also led other business units at SAP. Poonen announced on Twitter in July that he would be leaving SAP on 1 August, after more than seven years at the company. During his 20-year career in the IT industry, Poonen has held a variety of management roles in engineering, products, sales, marketing and business development. Prior to SAP, he held executive roles at Symantec, Veritas and Informatica. He began his career as a software engineer at Microsoft, followed by Apple. Poonen holds two patents, as well as an MBA from Harvard Business School, a master's degree from Stanford University and a bachelor's degree from Dartmouth College. 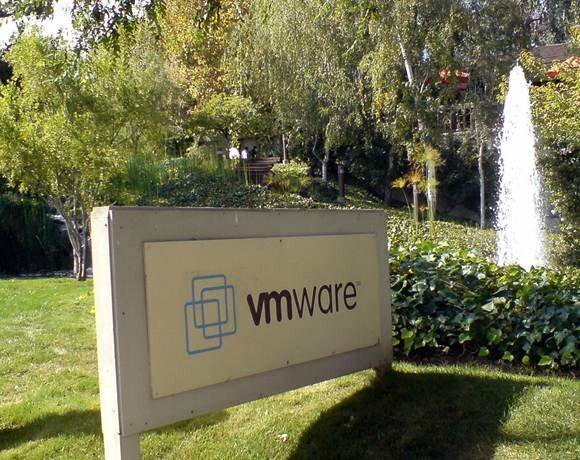 In July, VMware reported revenues of $1.24bn for the second quarter of 2013 – an 11% increase from the same period last year, driven by services revenue, which grew by 17.6% to $712.6m. At that time, Gelsinger said the company has a “significant market opportunity in the second half of 2013 and beyond”. He attributed the growth in revenue to the move from a “client-server era” to the “mobile cloud era” of IT. Migrating to the new era of computing will enable businesses to attain new levels of efficiency, control and agility, according to Gelsinger.